AGCO says its new AgControl system is simple, intuitive, ISOBUS-compliant and extremely accurate. It’s not surprising that the need for more economical, effective application is driving the demand for the latest rate controllers these days. Using just the right amount of product needed in just the right place can really help growers’ bottom lines. At Micro-Trak Systems, Jay Beedy, Marketing Manager, says the financial gains for customers can be sizeable — to the point of payback of new equipment in a season, not in years. Buyers are also looking to get more out of the equipment they already have, notes Alex Lundgren, Product Sales Specialist at Ag Leader. To that end, manufacturers are offering rate controllers with superior product control and advanced features that will work with any brand of UT compatible display. In fact, in general, Lundgren says his company’s primary focus is retrofitting existing equipment which allows applicators to bring used equipment up to current precision ag technology. While the economy may be a big factor in growing demand for more precise rates, government regulations are also playing a role. Different measures in various parts of the country — especially around larger bodies of water — require growers to be more careful than ever with applications, points out AGCO’s Cody Light, Strategic Marketing Manager, NA Fuse. Producers also have to make sure that they have the proper documentation for the work done. 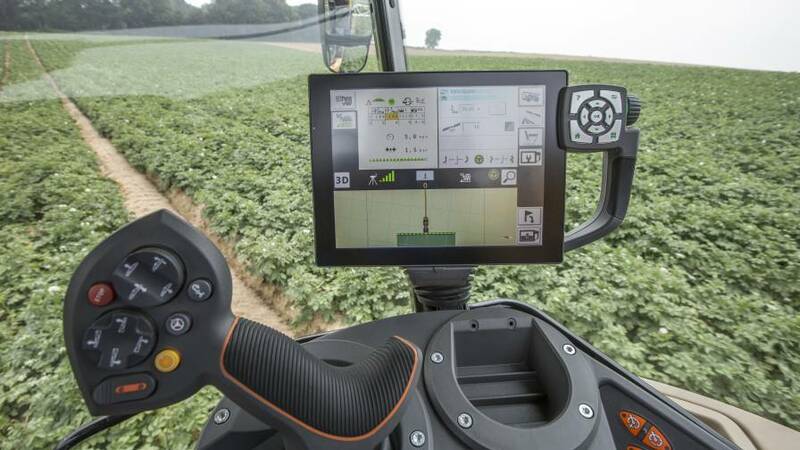 “That is drastically driving demand in the market for new controllers and controlling machines that have traditionally not been a precise system,” he says. Today’s controllers help provide reports that can include location, production information, applied totals, field areas, as-applied maps and field boundaries. The growing use of variable rate application is also impacting the market. “A lot of this is driven by advancements in soil sampling as well as new methods of interpreting soil analysis by zones or regions, which has increased the adoption of variable rate application,” says Wade Stewart, Product Manager for Trimble’s Agri­culture Division. Increased weed resistance across the country also means it’s more crucial than ever to apply product correctly to ensure the best chemical efficacy, says Ag Leader’s Lundgren. For instance, monitoring droplet size is important to ensure proper plant coverage while also minimizing drift. One example helping here is Ag Leader’s DirectCommand, which provides real-time monitoring of droplet size based on current system pressure with an easy to use interface and color-coded pressure gauge. And realizing customers face even more complex chemical use, Ag Leader has enhanced its Tank Mix functionality, allowing users to set up unlimited mixes with their sub-components at assigned rates. Proper rate control will be key going forward with the newly launched herbicide systems. Capabilities such as pulse width modulation (PWM) can add to rate control efficacy. PWM sprayer control systems allow growers to dial in a target droplet size from the cab and then maintain that droplet size across a range or application rates and/or ground speeds, explains Tim Stuenkel, Global Marketing Communications Director at TeeJet Technologies, maker of the DynaJet Flex PWM system. “Extremely coarse, drift resistant droplets will be key for successful and responsible dicamba application,” he believes. Raven also offers this technology. “For some of the new chemistries coming out, we’re working with the EPA to try and get PWM approval on the labels. A lot of work is being done not only by us but other members of the industry,” says Tim Heins, Product Management, Raven Applied Technology. Read the full story on CropLife.com.